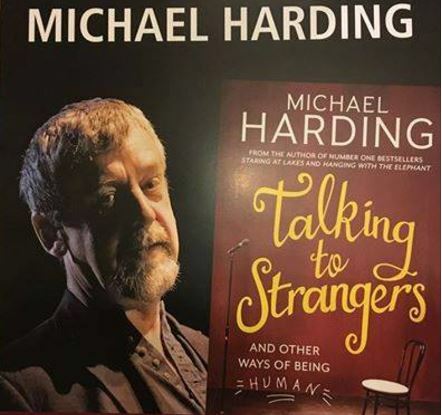 Michael Harding Author of Talking to Strangers, was published at the end of September 2016 and as promised is as entertaining and thought provoking as his two great memoirs Staring at Lakes and Hanging with the Elephant. 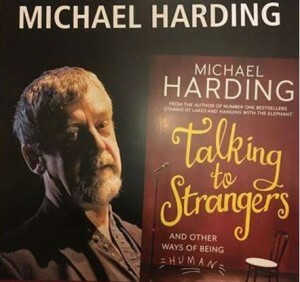 Michael Hardingas a playwright is most widely known as the author of such plays as Strawboys, Una Pooka, Misogynist, Hubert Murray’s Widow, Sour Grapes, and Amazing Grace, all produced by the Abbey Theatre, and more than a dozen other plays for leading Irish Companies. He has also written three novels, Priest, The Trouble With Sarah Gullion, and Bird In The Snow. Think ahead Conversation Cafe is designed to start a conversation about exploring options for your end of life plan. Refreshments Served in a very sociable atmosphere. Do let others know. The Hospice Team would be delighted to chat with you on the day and explore the think ahead booklet. USE PAYPAL TO PURCHASE TICKETS ONLINE – You can choose Collection on Door or Postage. A €1 administration will fee will be added to cover the processing fee. We thank you for your generosity and support. Here is just a small sample of whats in store on this very special night.